It’s been a long cold winter- the seventh coldest winter on record for the midwest- and projects and DIY adventures have taken a backseat to hot tea and movie nights. The cold is finally letting up and last weekend visiting family warranted a day trip to Carthage, MO and the living art project that is “Red Oak 2”. I hope to go back and take more photos when spring finally returns to our neck of the woods and brightens up the dull landscape, but a visit to Red Oak is fun during any season. 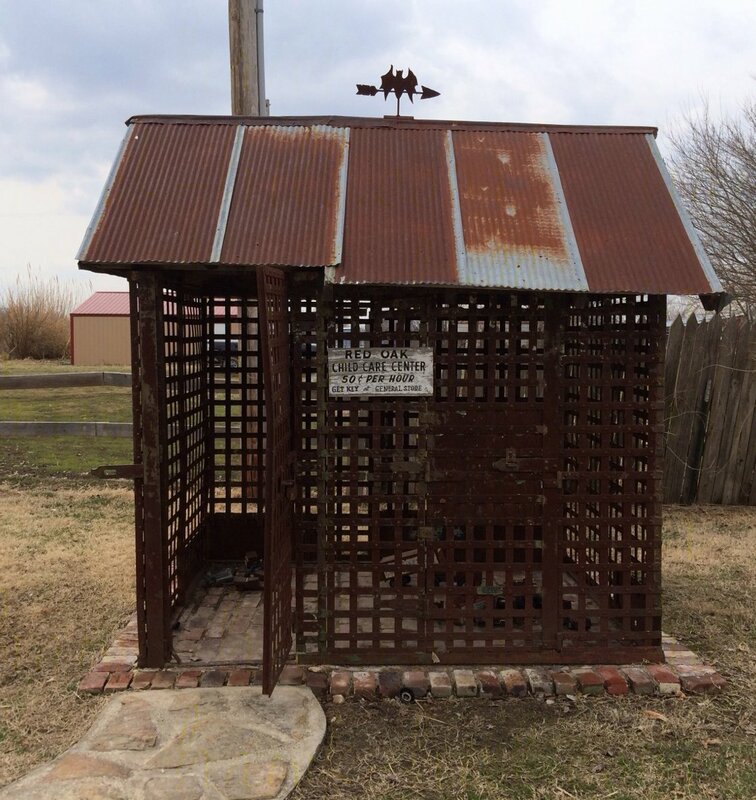 This small village, located in rural Missouri, is the art project and brain child of artist Lowell Davis who has interwoven relocated period buildings with art installments of every sort, all done with a sense of humor and classic rural American charm. Here are a few of my favorite photos from this trip. 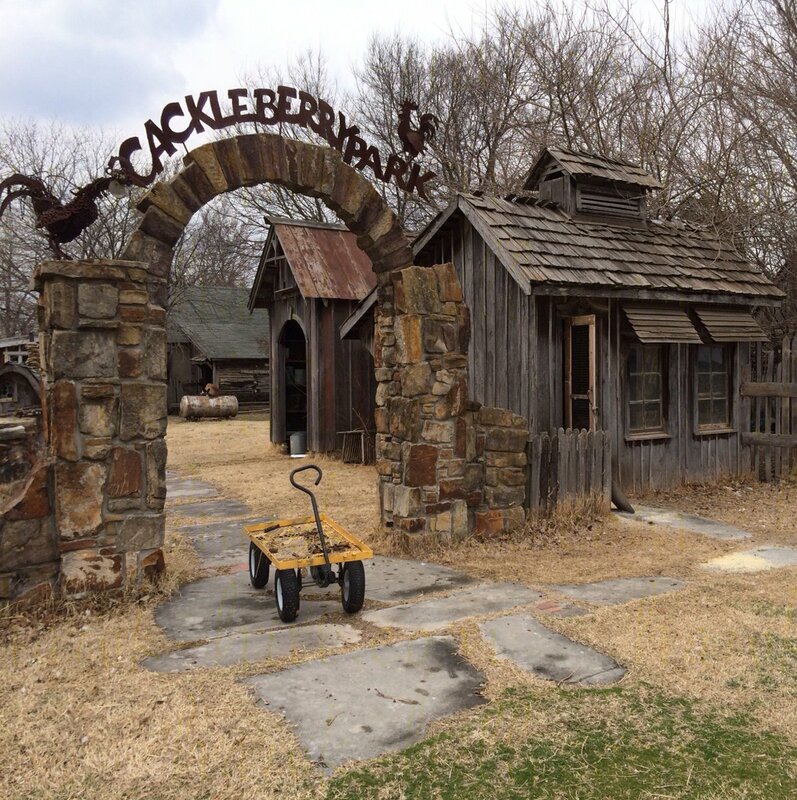 One of my favorite parts of the epic barnyard and chicken coop, titled “Cackleberry Park”. The rustic building on the right side of this photo is the chicken coop. 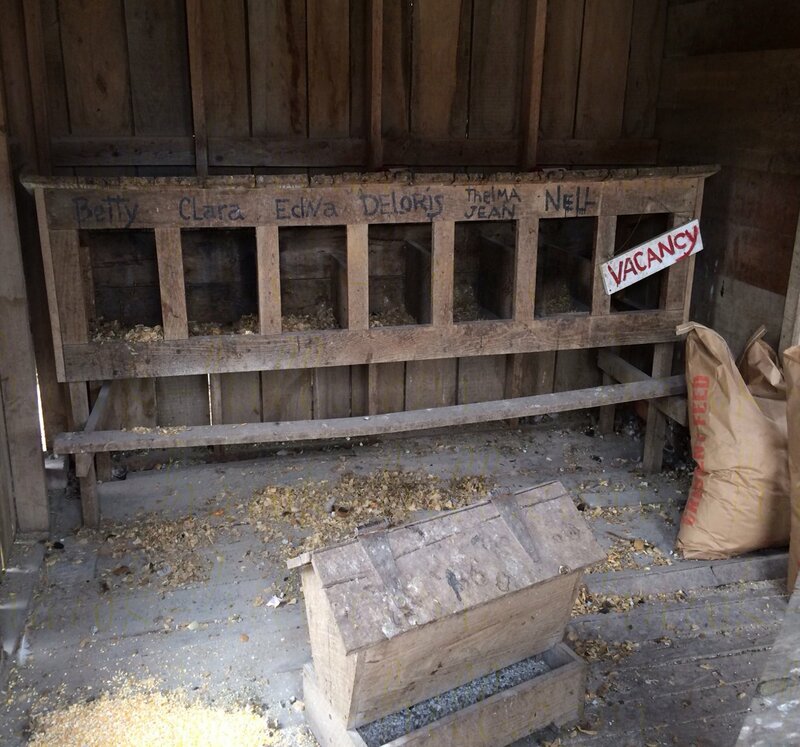 A quick peek inside showed no girls currently at work, but an adorable row of nesting boxes with name-tags. 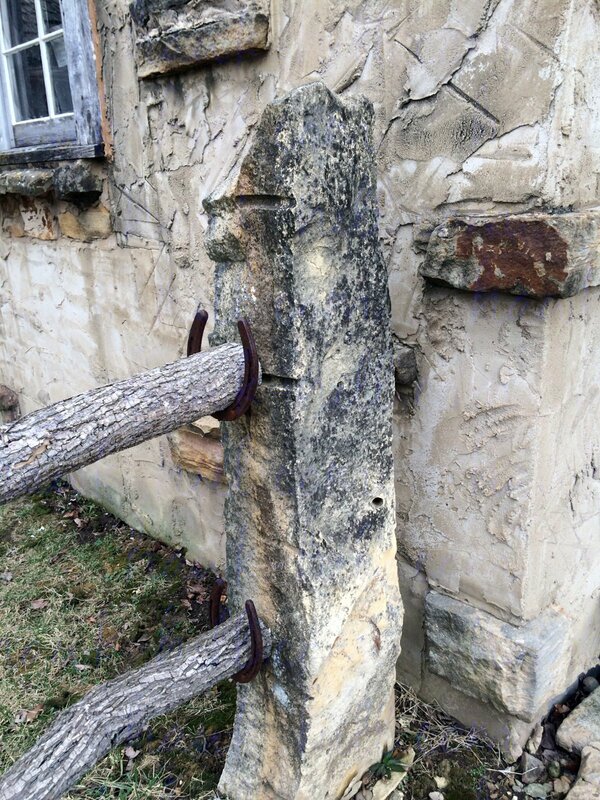 I’ve always got an eye out spotting equestrian elements everywhere go- so had to snap a photo of this fence made with stone posts and brackets for the cross rails made using horse shoes.